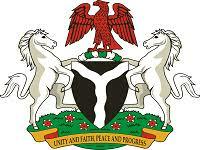 Director-General of the National Identity Management Commission (NIMC), Engr. Aliyu Aziz, has identified digital identity as a critical factor for individuals to access social benefits including subsidies and entitlements, reports ITRealms. In a keynote paper entitled ‘Digital Inclusion: Opportunities, Challenges and Strategies’ he presented at the 27th annual conference of the Nigeria Computer Society (NCS) in Ibadan, Oyo State, the NIMC D-G noted that inability to prove identity is one of the biggest barriers preventing access to benefits, subsidies, exercise of basic rights as well as claiming entitlements. While quoting the United Nations pledge to get everyone online by 2030, Engr. Aziz said “millions of world citizens need help, including Nigeria,” if they are to meet the UN’s 2030 aspiration.